On January 14, at the Amsterdam Conservatory, the book Contemporary compositional techniques and OpenMusic, published by IRCAM and Editions Delatour is launched. The book is edited by Rozalie Hirs and Bob Gilmore. 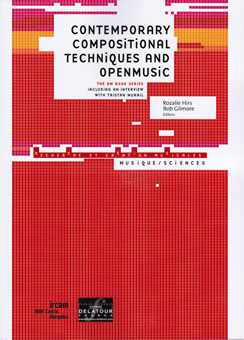 At the launch, Hirs gives a lecture on the book, on the musical composition Le Lac (2001) by Tristan Murail, and on the OpenMusic computer program.